The Blackhawk Women's Scholarship Fund is a non-profit, 501c(3) California corporation that was organized and incorporated in 2003. All donations to the Fund are tax-deductible on both federal and state returns. 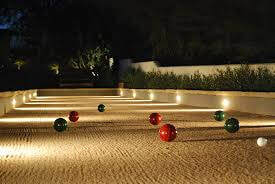 ​​Plans are in the works for a Bocce Fundraiser. We hope to have more details soon on a fun upcoming event. It will involve team play bocce with your friends whether they are members at Blackhawk Country Club, or from outside the club. So, come out and support this great cause!